I must admit, when I learned of the death of the 6 Series Coupe and Convertible, I was unhappy. Personally, I felt that the 6 Series was BMW’s best looking car and that the Convertible version was one of the prettiest drop-top grand-touring cars on the road, regardless of price or segment. So when it left us, I was a bit sad. Until I saw the 8 Series Convertible because it’s flat-out better looking. 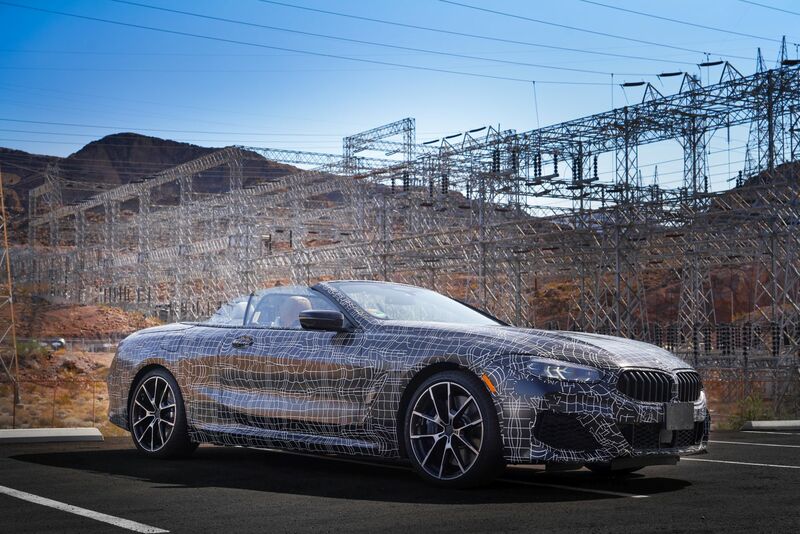 Seen in these new spy photos (which we don’t own but can be seen here), the BMW 8 Series Convertible looks great. It has a lot going for it, this specific test mule, as it’s a BMW M850i, making it very sporty looking, and it’s sporting Sunset Orange paintwork. Almost all of the 8 Series’ we’ve seen in photos have worn Barcelona Blue and, while a pretty color, it’s getting a bit stale. So seeing an 8er wearing such a vibrant red/orange is refreshing. The test mule seen in these photos is basically completely production-spec, as there’s very little camouflage. Camo is only seen on the rear fenders and trunk lid but that’s obviously not enough to hide its design. Typically, when pretty coupes ditch their fixed roofs for folding ones, they look odd with the roof up. The 8 Series Convertible still doesn’t look as pretty as the Coupe, obviously, but it’s certainly no ugly duckling with its roof up. In fact, I think it’s one of BMW’s best convertible designs of all time (with the 507 unquestionably being the best). We’ll see the BMW 8 Series Convertible officially unveiled in Paris soon and we’re excited about it. 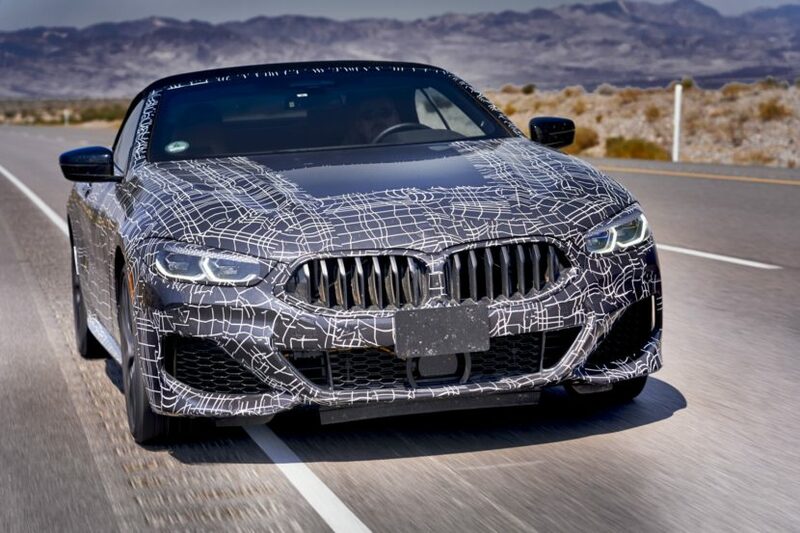 I have a feeling that the M850i ‘Vert is going to be a fun car to drive, with those stunning looks and the noise of that stonking V8 filling the air. Oh, and 0-60 mph in under four seconds. Forgot about that bit.